Amelia is one of those people who would rather not be photographed. In her personal life, Amelia is focused on the future; she doesn’t get along much with her mother, who she blames for the divorce, or her older brother, who has teased and tormented her her whole life. 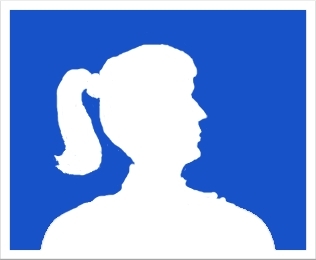 A late bloomer, she isn’t really ready to get into a serious romantic relationship. Living far from her Toronto hometown by design, Amelia’s finances are stretched tight; she knows she’s lucky to have a job in the campus book store for the geographic convenience; the opportunity for snatches of reading makes it ideal. An English Lit student with dreams of becoming a professional novelist, Amelia’s two favourite genres are “hard boiled” crime and science fiction. 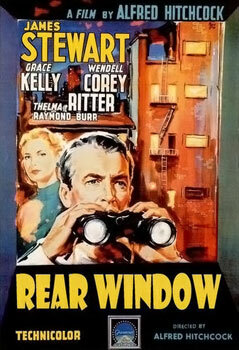 “Rear Window” is one of Amelia’s favorite movies, as are “The Thin Man” films. Amelia thinks it is ironic that only the first one is based directly on the Dash Hammett novel, since “The Thin Man” doesn’t actually refer to Nick Charles, any more than “the Pink Panther” refers to Inspector Clouseau. Amelia counts her favorite writers as science fiction great, Isaac Asimov, originator of the three laws and Dashiell Hammett, perhaps the originator of the private eye genre. Although he wrote comparatively little, Dash Hammett wrote the “Continental Op” stories, essentially P.I. procedurals, as well as creating Sam Spade, possibly the single most definitive noir hero of “the Maltese Falcon.” This novel was so popular that not one but three versions were filmed within the space of a decade, culminating in the definitive Humphrey Bogart version. If that wasn’t enough, Hammett also pioneered the detective couple, with Nick and Nora Charles in “The Thin Man,” before pulling strings to be allowed to serve in the second World War in spite of health problems, and later standing up against the House Un-American Activities Committee in the McCarthy Witch Hunt. Hammett was black listed for his pains, then incarcerated for “contempt of court.” Interestingly, Nick and Nora remain the only successful couple in detective fiction, something Amelia is thinking might be changing when she begins writing her own. 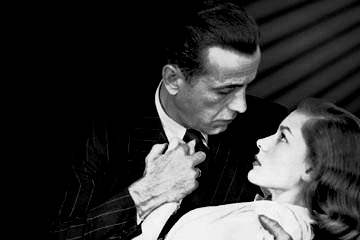 Humphrey Bogart clutches Lauren Bacall in film noir classic, Raymond Chandler's "The Big Sleep"
It was only after publishing a half dozen literary novels that Cornell Woolrich began writing first roman noir novels, and then screenplays, so it’s unsurprising many consider him the godfather of film noir. His Wikipedia listing indicates “more film noir screenplays were adapted from works by Woolrich than any other crime novelist,” including “Rear Window,” and later teleplays for Alfred Hitchcock’s television series. Less well known to the average reader by name than some of the other practitioners of the genre, Woolrich’s books are actually harder to come by. Like Hammett, Cornell Woolrich’s life was a tragedy. Amelia admires these writers, and inexplicably connects with this stark genre from another generation. Although Amelia very much wants to write like these guys, she has no intention of living a tragedy. Rear Window poster, used as fair use/fair dealing; publicity material.